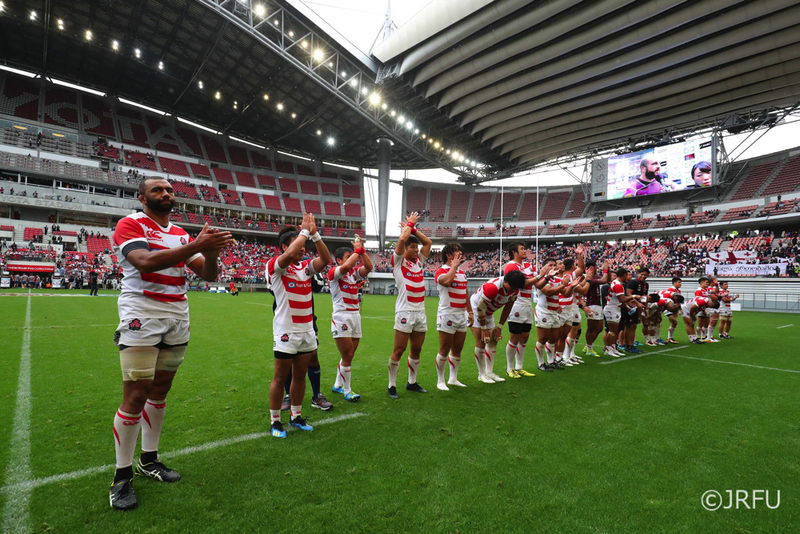 On a wet day at Toyota Stadium, the Japan forwards laid the foundations for the win with a dogged powerful display. Japan captain Michael Leitch admitted the win may not have been based on the high-paced attacking style of rugby the Brave Blossoms are known for, but said it was a hugely important victory for the team. Joseph said the leadership of Leitch and the other senior members of the side had been crucial to the success the team has had of late. “They understand what it takes to win a test match,” he said. The former New Zealand and Japan international also took time to praise his support staff and coaching crew, singling out attack coach Tony Brown, defence coach John Plumtree and strength and conditioning coach Simon Jones. “They are a world-class team,” he said.